I didn’t know what to expect from Behind Office Doors. I bought it on the cheap, years ago, when I was on a desperate search for any pre-Codes I could get my hands on. (On which I could get my hands?) For some reason, though, I never watched it. So when the Mary Astor Blogathon was announced (and my first and second choices were snapped up faster than you can say “Bob’s your uncle”), I figured this was a prime opportunity to dive into this film and see what was what. Well, I’ve watched it three times now. And I still don’t know what to think. But let’s begin at the beginning. (And watch where you step – there are spoilers up ahead!) The film opens at a party where the grown-up revelers are playing a game of Blind Man’s Bluff. 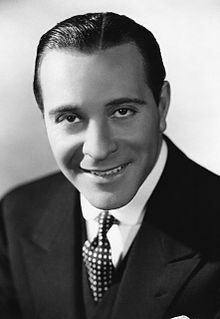 While there, Mary meets Ronnie Wales (Ricardo Cortez, in a totally thankless role), who flirts with her but conceals the fact that he’s married with children. It’s while Mary is playing a game of “Truth” with Ronnie that we learn she’s in love with a man who, according to her own admission, doesn’t even know how to correctly pronounce her name. That man is Jim Duneen. Mary and Jim Duneen — before she revamped his wardrobe. Duneen works in the office where Mary is employed, and when the president of the company is forced into retirement, Mary touts Duneen as his replacement. She talks him into going for the job, writes a pitch for him to deliver to the powers that be, and even squirts ink on his tacky striped shirt so he’ll have to wear a crisp white one to the interview. Naturally, he gets the position, and Mary becomes his executive secretary. Ricardo Cortez didn’t stand a chance. Ever practical and conscientious, Mary cuts the love-fest short, insisting that one of them has to be at the office early the following day. As he leaves, Mary watches Duneen from her window, all ooey and gooey and sappily in love. But the good times don’t last. The next morning at work – you guessed it – dear, darling Duneen doesn’t remember a thing about his close encounter with Mary. Ah, well. It was nice while it lasted. And things go from bad to worse when, a few weeks later, Mary is stunned to learn that Duneen is engaged to Ellen Robinson (Catherine Dale Owen), the daughter of a local banker. But all is not lost, as evidenced by a neat series of events kicked off by Duneen’s fiancée breaking their engagement when she finds out that her real rival was Duneen’s other secretary, Daisy. When Duneen advertises for another personal assistant, Mary answers the ad, Duneen realizes that he loves her, and the two of them run off to get married. Astor: The best thing about this movie. The character of Mary Linden was one of the most intelligent, independent, assertive, and competent women I’ve seen in the movies in quite a while – and, at the same time, she was also a weak-willed doormat. It was a very annoying dichotomy. With each viewing of this movie, I kept hoping I would like it better, but it never happened. I just kept getting more frustrated. Maybe if Jim Duneen had been less of a jerk – perhaps if he’d simply been a handsome chap who was bright and capable but oblivious of his own charms – then maybe it wouldn’t have been so bad. Maybe then I could understand Mary spending year after year in this guy’s presence, loving him from across the desk, keeping her adoration under wraps. But this guy was a straight dolt. I mean, come ON. She had to teach him how to speak, how to dress. She composed his correspondence for him, gave him business advice. She stayed with him even though he refused to give her a raise. Even after he kissed her and then blacked out the entire evening. Even when he had her ordering flowers to send to other women. Even after he got engaged to somebody else! Give me a break. I wasn’t feeling it. But I will say this – Mary Astor made the character come to life. Her performance was natural, unaffected, effortless, and touching. By the time she starred in Behind Closed Doors, she’d been in close to 70 movies – and it showed. She was especially memorable in two scenes – the first was when Duneen revealed that he didn’t remember anything from their night together. Astor exhibited a range of distinct emotions – from alarm to disappointment, disbelief to sorrow and resignation, and then, finally, some good old stiff-upper-lip stoicism. And she did it all without saying a word, and in a matter of only a few seconds. Ronnie was Johnnie on the spot during Mary’s breakdown. The other scene was when Mary learned that Duneen was engaged. The scene started out at Duneen’s house, where Mary was arranging flowers for a dinner party. It was only when the butler handed her a stack of invitations that she learned that the party was to announce Duneen’s engagement. When she reads the invitation, she is noticeably shaken and physically unsteady – she tries at first to go on arranging the flowers, but she’s unable to continue and slowly exits the house, her head bowed and shoulders stooped in defeat. It’s positively pitiful. She doesn’t completely break down, though, until she gets home, in the presence of her friend, Delores, and Ronnie Wales, who just happens to stop by. And boy, does she break down: “I made him look like a gentleman. I taught him to speak the King’s English. I’ve shared his troubles and worries. I’ve stood between him and a dozen cheap, designing women. But when it comes to a girl with beauty and money and the glamour of position, I can’t do a thing! A girl of his own class – the class I gave him!” Astor, mascara running from beneath her eyes, fairly wrenches the words out – they’re ragged and full of pain, and she punctuates her despair by running her hands through her hair and pacing the room like a trapped animal. It’s something to see. When Duneen’s fiancée insists that Mary quit her job, Mary is, at first, too stunned to move; she stands motionless as Ellen leaves the room. And then Mary says, “When Greek meets Greek,” and follows the woman into Duneen’s office. From what I gather, this is an allusion to the proverb, “When Greek meets Greek, then comes the tug of war,” meaning that a real battle can be expected when two adversaries of equal strength and determination meet each other. In the scene where Duneen and Mary kiss, there is a point, about 47 minutes and 27 seconds into the film, when Mary rises from the sofa and walks away from Duneen. After she stands, a full five seconds go by where nobody is in the frame – the camera is just focused on the wall, waiting for Astor to walk into the shot. The only thing we see is the piano, the wall sconces, and a picture on the wall. It’s pretty odd – I’ve never seen anything like it. Jim Duneen was played by Robert Ames, who died about eight months after the film’s release, at the age of 42. He was found dead in his room at the Hotel Delmonico in New York. The official cause of death was delirium tremens, which some say were caused by his abrupt cessation from alcohol. News reports, however, stated that a large quantity of whiskey was found in his hotel room. 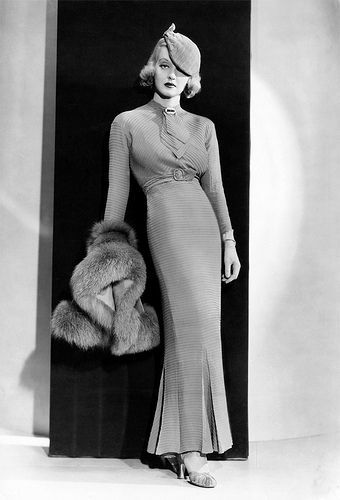 Married four times, at the time of his death Ames was romantically involved with actress Ina Claire (whose divorce from John Gilbert was not yet finalized). 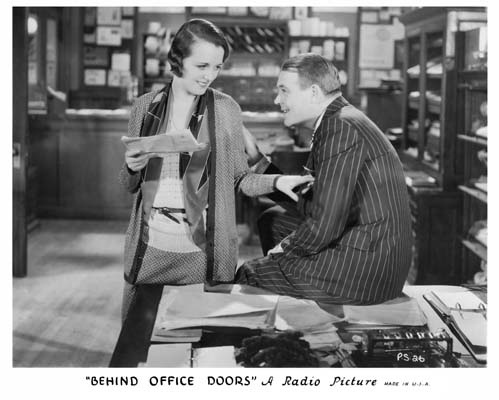 My personal exasperation with the main character notwithstanding, Behind Office Doors is worth seeing, if for no other reason than for Mary Astor’s performance. Her talent shines through the insufferable circumstances like the sun through a cloudy sky. Available on DVD as well as on YouTube, Behind Office Doors may not be a masterpiece, but it’s worth your time. Give it a try! You only owe it to yourself. 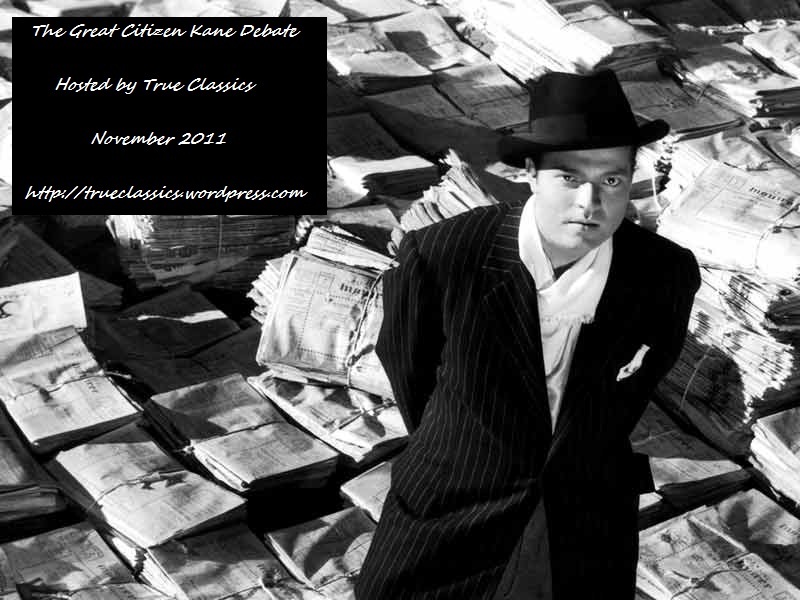 This post is part of the Mary Astor Blogathon, sponsored by Dorian Tenore-Bartilucci at Tales of the Easily Distracted and R.A. Kerr at Silver Screenings. 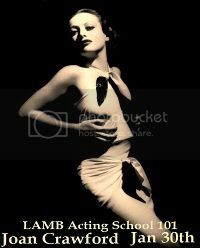 Do yourself a favor and click the pic of Miss Astor to check out the wealth of great posts being offered as part of this fantastic event! ~ by shadowsandsatin on May 4, 2013. Fabulous review! I really want to see this now, based on your descriptions of Astor’s performance…although the Mary Linden character would probably drive me crazy. Looks like some terrific dialogue in this film, too. Thanks for participating in the blogathon. This was a good contribution. Thanks so much, Ruth – and thanks to you and Dorian for hosting this awesome event. Thanks, Jo! The copy on You Tube is really good, if you ever catch movies there. I’d love to know what you think of it after you see it. I never warmed up to Astor’s character — she evoked pity more than anything else, and I just wanted to sit her down and say, “Girl, listen.” But I noticed something different about Astor’s performance every time I saw it! She was really good. I’m going to watch it on Youtube and will let you know what I think of it. I’m certain I would have had the same reaction that you did to her character for all the same reasons. First, I am glad to see I am not the only person who buy movies and then does not watch them for years. I’m not sure why that happens, compulsion maybe? Anyway, one of the many things I like about pre-code films is the strong female roles which it sounds like Mary A. has here. I still need to catch this one, hopefully will soon. Always fascinating to read. So funny that you said that, John — I never thought about it, but now that you mention it, I have a Carole Lombard collection, an early Alfred Hitchcock collection, and another Mary Astor pre-Code — The Royal Bed — all waiting to be watched! I hope you get a chance to see this one soon! You’ve convinced me. I’ll have to give it a look. 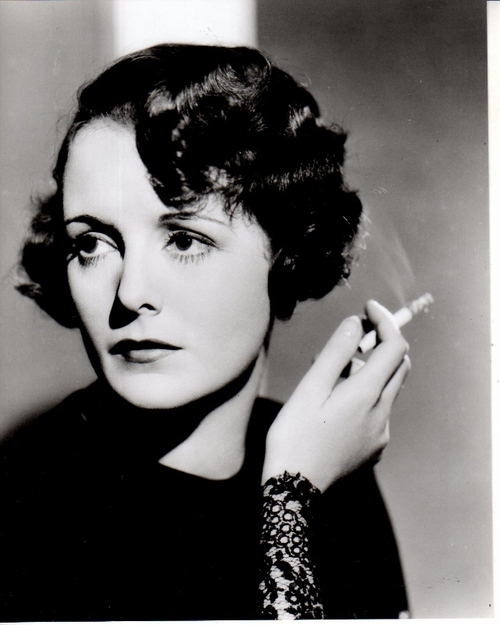 Karen, I’ll admit that stories about long-suffering lovesick secretaries as “the man behind the woman” often get me wanting to gnash my teeth, but our gal Mary Astor had a real gift for breathing nuances, flesh, blood, and nuances into stereotypes, and your post really had me feeling for her character. Excellent job, my friend! Thanks so much, Dorian — and thanks to you and Ruth for hosting this event! 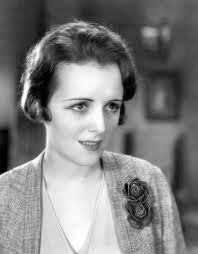 I must admit, the more I watched the movie, the less I disliked Mary Astor’s character (’cause the first time, I couldn’t STAND her) and the more I felt sorry for her. I think that’s a testament to Astor’s talent. Nicely written. 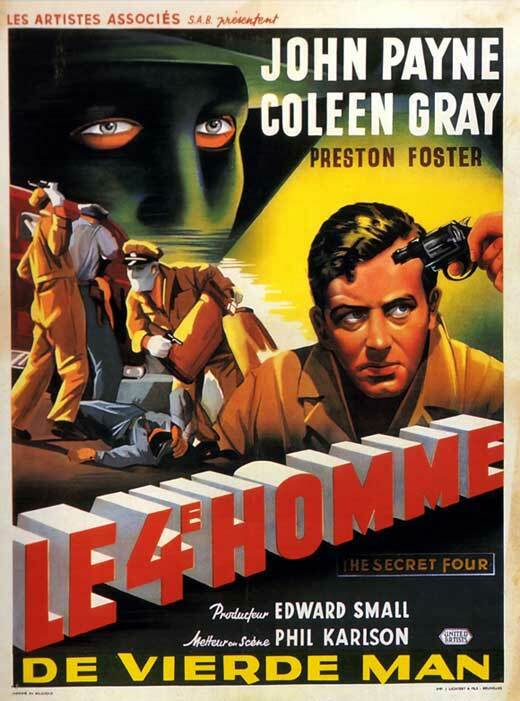 I have to admit, I’ve never heard of this movie (I’ve only seen a couple of Astor’s pre-Code films; “Other Men’s Women”, “The Kennel Murder Case” and the original version of “Holiday”), but it does sound interesting enough to check out. Hi, Sean — thank you! Before I started looking on Amazon for pre-Codes, I’d never heard of it, either. Turns out that Mary Astor was in quite a few pre-Codes that I don’t know about! I will have to go looking for more . . .
Nice review! This blogathon has my to-watch list bursting at the seams. That’s a good thing. 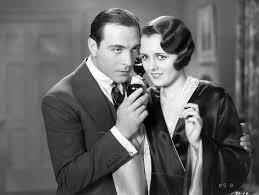 Thanks for all the details and quotes and the great write-up on Mary Astor’s performance. I am going to have to check this one out. Thank you so much! I hope you get a chance to see this one, soon — and if you will, let me know what you think! Thanks for reading it — I hope to see you here again. Most of the way through your summary, I kept expecting this to be one of those pre-codes in which the unlucky protagonist somehow becomes a Broadway star over night. I had my fingers crossed for that. Alas! Anyway, great write-up! LOL — too funny! That would have been some twist, for sure! Thanks, Alexandra! This sounds like a must-watch and a fine performance by Mary Astor – I will be checking it out on Youtube soon, savouring all that sharp pre-Code dialogue and returning to enjoy your fantastic review all over again! Especially like your line about him ‘helping himself to the hired help’. 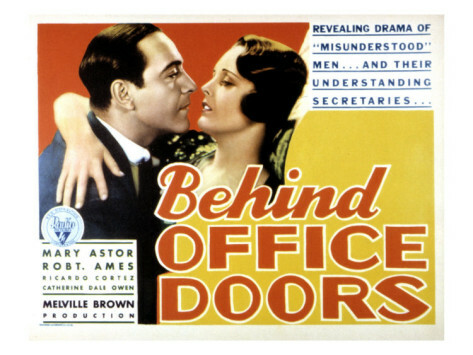 Your account slightly reminded me of another good pre-Code, ‘Honor Among Lovers’, with Fredric March as an executive and Claudette Colbert as the secretary who, again, really does everything to make him look good – though she spends her time fending him off rather than pining away for him! Thanks so much, Judy — I do hope you’ll get a chance to check it out soon. And I will have to look for “Honor Among Lovers” — anything with Fredric March is just alright with me! Terrific review. I love the way you describe the scenes, and included the bits of dialogue. You’ve captured all the sauciness of a pre-Code, with a lovely sympathetic understanding to Mary Astor’s role and her work. Thanks. Thank you for your kind words, Jacqueline! I really appreciate your reading my review. It’s hard to be a modern woman and watch some of these films, isn’t it? But, because of Mary, this sounds like a goodie. 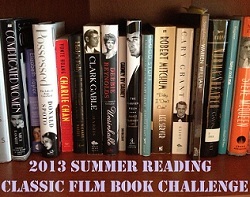 I will be reviewing “Holiday” in which Mary costarred with Ames. I thought they had a nice little chemistry going there. You’re so right, Chick. I’m fine with most of them, but every now and then one comes along that makes me boil. I look forward to reading your write-up on Holiday — I didn’t realize Robert Ames was in that! When I was researching for the blogathon, I found this movie on Internet Archive. After reading your post, I know what to expect when I watch it, and I’ll probably do for Mary and the dialogue. Hi, Le! I’d love to know what you think of it when you get a chance to see it. Looking forward to reading your write-up! I’m with you, I don’t get how Mary could have been such a doormat. Still, your comments about how well Astor played her are right on. Astor was good at emoting. She obviously practiced non-dialogue scenes quite well, as they are always spot on. One of her signature moves was the frazzled or disoriented looks followed by running her hands through her hair at the same time. Loved reading this! How the hell do you mispronounce Mary Linden? Seriously, I’m now desperate to find out how Robert Ames manages to screw that up. You really know how to toy with the emotions of your readers, Karen. After hearing every miserable detail of Astor’s unrequited love for an unworthy man, I was all set to avoid this movie. But then you go on to describe Mary Astor’s acting so beautifully and before long, I’m telling myself I have to go see this just for her. The description for this one kind of reminds me of Ten Cents a Dance, in which Barbara Stanwyck spends the whole movie doing everything on earth to please a despicable Monroe Owsley but only wants a platonic relationship with the devoted, fabulously wealthy Richardo Cortez. Did Cortez just have a lock on the part of “Spare Love Interest”? This was a fantastic review in every respect. Lots of wit, insight, and just plan good writing. Glad you decided to write for the blogathon. I haven’t seen BCD and I’m confused as to why. Perhaps I have missed it each it airs. While I have tried to see all of Ms Astor’s films over the years, I never miss one of Ricky’s. With that said, I’m so glad that you reviewed the film. I also love that there are so many of us who seek out a good pre-code film. This one seems a bit light on substance, like most did but the visuals look great, there was Mary, not giving up on the man she desired. (Boy, that alcohol sure causes confusion and mixed signals!) Ditzy blondes are always a fun bonus to any film. Your fun and honest review has certainly peaked my interest in this film. Hopefully I will find it sometime and give it a spin. Thanks for including Mary’s opinions on her performance here. I’m sure she was like most actors in her being critical of her work. Like you mention, her talent shines through. Thanks for providing the Youtube link, too. Isn’t it great that so many films from this era and this genre are being uploaded for us? Thanks for this recommendation, I will certainly be looking for this one soon. It sounds like a great re for Astor, but then again, with her versitility, what role isn’t great for her. Thanks for the lively post.